Not so long ago, during the global recession of economic, a beard was a means of saving money. Moreover, the attitude toward the facial hair was rather negative, especially from women. However, in the recent past, a beard became an ultimate statement of a man’s style and masculinity. With its help, you can not only look cooler and breezier but also conceal or adjust some minor flaws. To get the most of your beard styles, here are some bits and bobs to keep in mind. Even though men with beards look really stirring by default, this condition works only if there is a real beard. If the hair on your face is sparse and scrappy, it’s better to give up on the idea of having a beard. Your total look will turn out completely wasted. 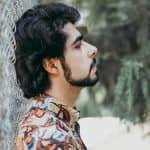 Nevertheless, if you do have thicker hair on some parts of your face, like chin or temples and jawline, go for some special variations, for instance, goatee or chinstrap beard. Ultimately, never surrender before you have tried all the possible options to make the most of your source material. Before beards became what we know them today, they had gone through long and diverse history. In ancient times, to remove the facial hair, plucking preceded shaving. And the latter was performed by the improvised means, which they used to sharpen since there were no razors. In ancient Egypt, the Royalty would wear a metal beard, also called postiche, as a symbol of the connection with the gods. In ancient Greece, in turn, a beard signified the puberty passage and a boy becoming a man. Also, the beards had an air of barbarism. Lombards, Northern Italy conquerors, and Viking had long beards. More recently, in the 1700s, a lengthy beard style was attributed to a specific culture, like the Russian. Short beard styles combine such characteristics as neatness and individuality. This is a great option for the men who struggle to grow a long and thick beard. 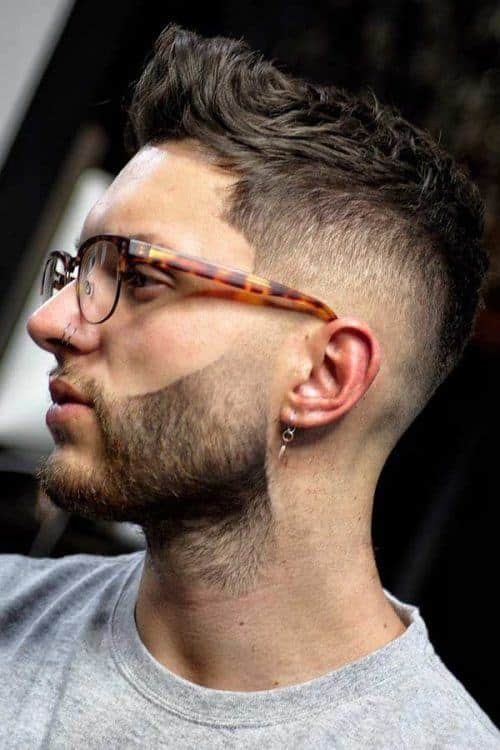 There are, of course, plenty of short beard styles; yet, there is one rule to remember, to fall under the category of short hair, its length should not exceed 1-2 inches down your chin. 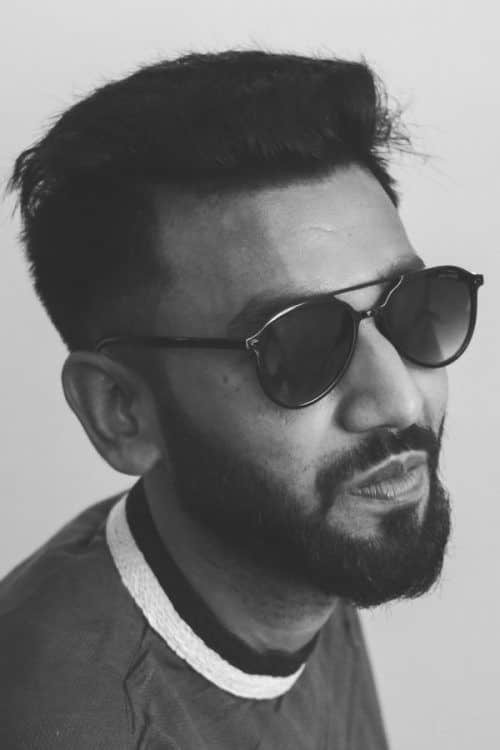 Ideally, to rock the perfect minimalist short beard style, you should just trim your facial hair neatly and there you go! However, there are again multiple options. A stubble beard is beautiful in its simplicity. It’s easily-maintained and amazingly flattering to anyone. 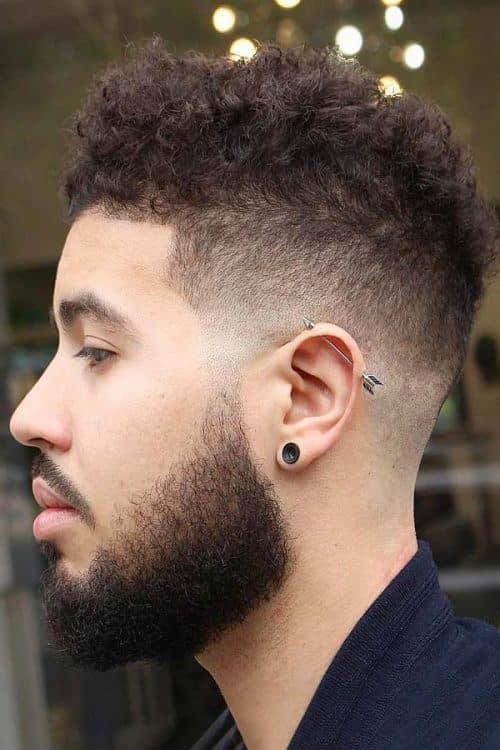 To achieve this style, you just don’t shave for a couple of days. 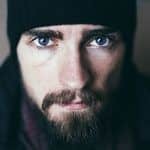 A study even showed that women actually give preference to the men with a stubble beard so why not to take an advantage of it? The scruff beard or as it’s also called a stubble beard is a style that looks great on anybody. 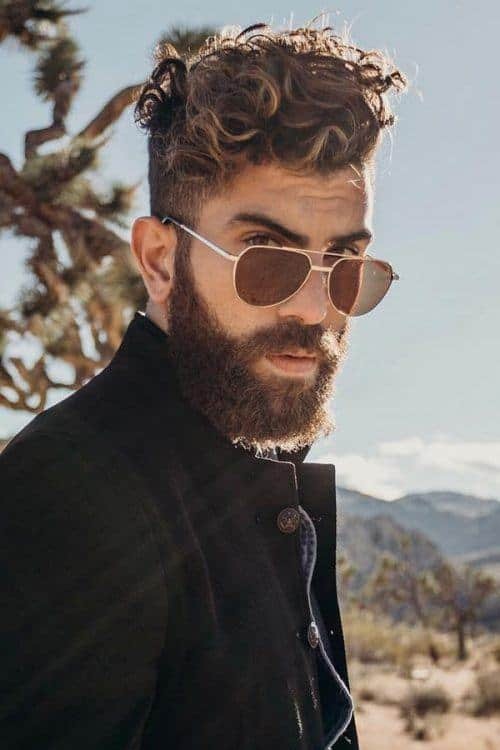 The thickness of your facial hair doesn’t matter, as this beard style can equally add texture and grit to both a patchy beard and a dense one. To achieve the look, let your facial hair grow up to three days. After that, you can either shave the whole beard off or trim it short. If you want to epitomize the look of a guy from Wall Street with your stubble, trim your neck and cheek lines. Alternatively, leave your facial hair to grow naturally without additional maintenance to attain a more scruffy look. 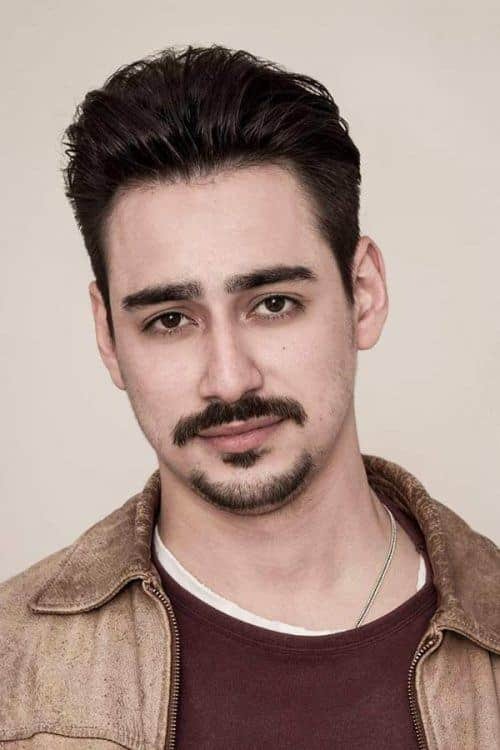 Goatee styles do not require much effort either, but they still look really appealing on slim to round faces. In the past, a goatee beard was preferred by scholars and famous people; though today, it’s pretty much worn by anyone. 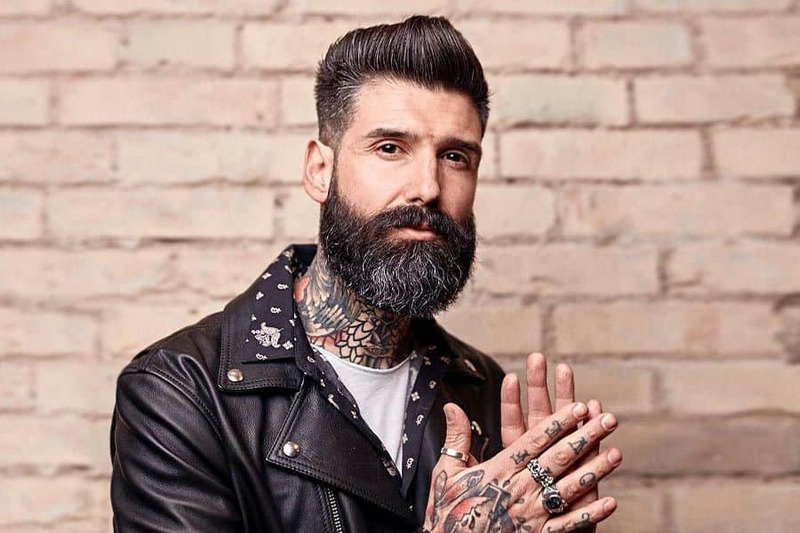 To get this beard style, you need to leave the hair above the upper lip and below the underlip unshaved or you can add an edge to it by framing your mouth with hair. 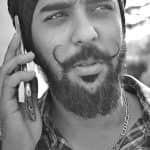 Looking for really cool beard styles? Then you should definitely try the beardstache. This is the combination of a mustache and a beard where the former is intentionally left longer than the latter. 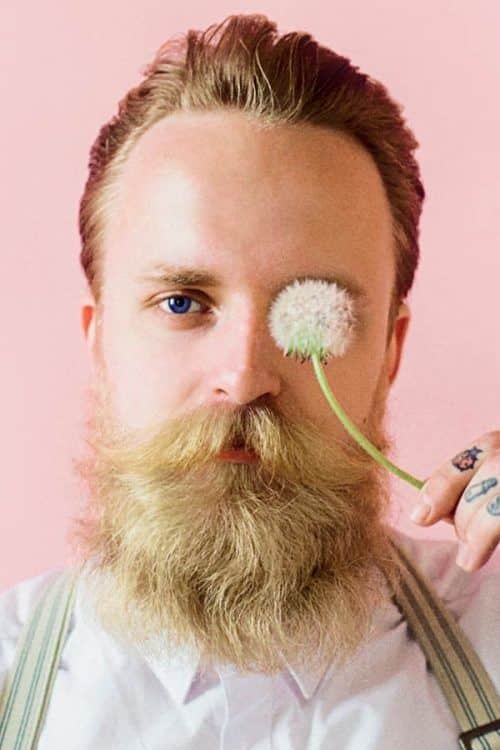 The beardstache is a very controversial style: you can love it or hate it, but never ignore it. The corporate beard belongs to full men’s beard styles. It can be a really hard nut to crack for the guys with thin facial hair. Thus, before going for it, ensure that you can grow out a long thick full beard. The process of growth can last up to three months. For such facial hair styles, which take much maintenance, patience is the key to doing the job well. The corporate beard style doesn’t accept short sticking out hairs. Everything should be trimmed clean and neat, including neck and cheek lines. There’s hardly a man who wouldn’t be able to pull off the short beard styles. Exceptionally universal, not only do they suit any face shape but are also appropriate for any occasion, whether formal or informal; thus, the short beard looks organically either in the office or on a night out. If you’re really willing to extend the boundaries, try wearing a short beard without a mustache, which will look provocative yet smart. This beard style has quite interesting origins. It was named for Anthony Van Dyke, a famous Flemish artist. Relating to rather whimsical beard types, Van Duke Beard combines a mustache and a goatee, whereas all the other facial hair is shaved. The hair on the chin should form an inverted T and eventually be trimmed to turn into the V shape. The Balbo Beard is one of the most recognizable types of beards. The one and only Robert Downey, Jr. has been helping to popularize it for quite a long time now. 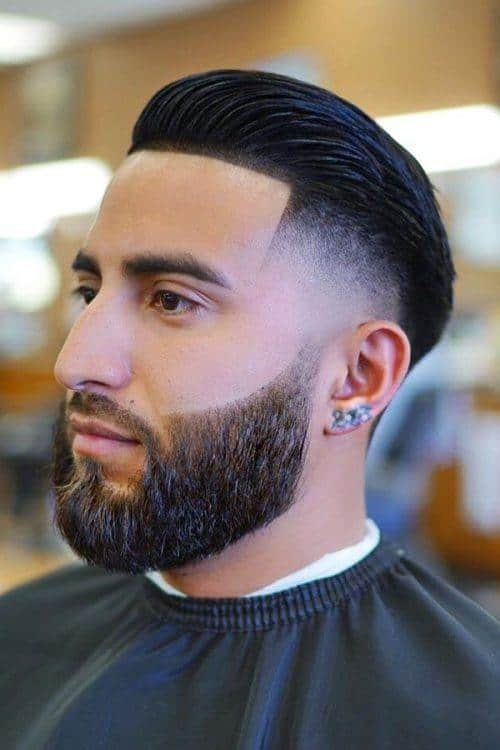 To achieve the style, you need to have a full beard so that there is a lot of material to work with. In addition, you are required to grow a mustache, which will round up the look. 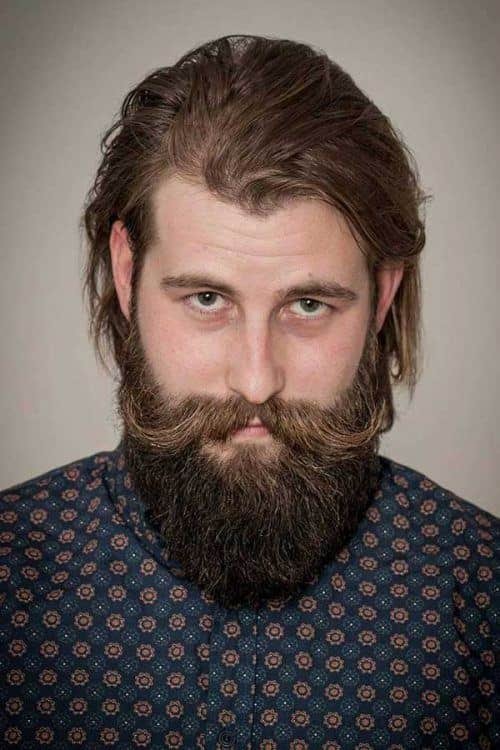 Essentially, the circle beard is a type of a basic beard. Being one of the most popular short beards, it combines a round goatee and a mustache. It looks very neat and clean, thus, is highly flattering for business people. The full or heavy stubble beard is a twist on a scruff beard style. It works best for men with really thick and coarse facial hair. To tame your wild beaver, you need to grow it out first and then get trimmed equally, getting close to the face. The full stubble beard allows the hair on the chin, sideburns and neck to go high, so don’t worry about that. If this is your first time growing a mustache, you will probably want to stick to a more low-key style. 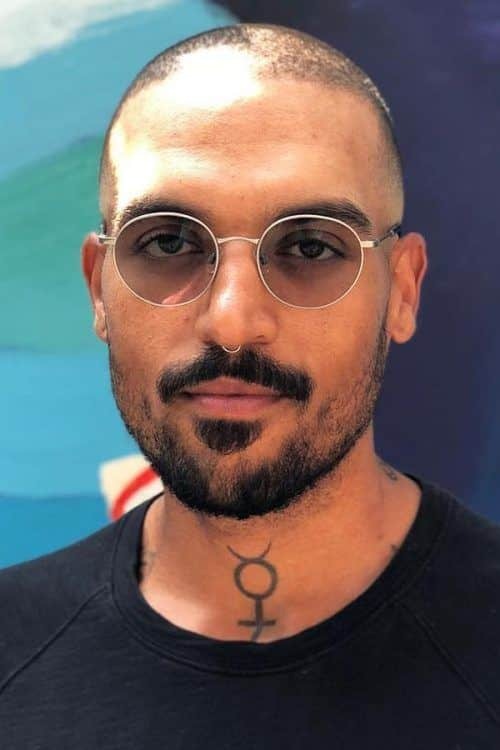 You can pair an inverted U-shaped mustache with a short beard, for example. Don’t let your beard grow too high. Instead, keep it low at the jawline. 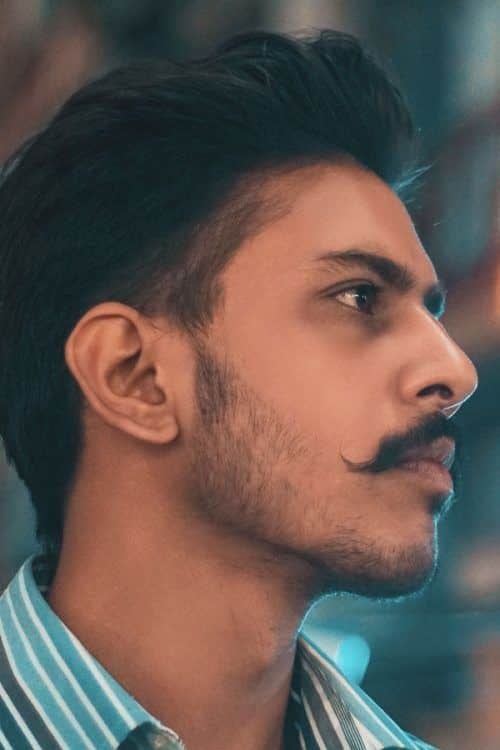 Its shape should outline your chin while not touching the mustache. As for the hairstyle, it’s better to trim it short too for a clean and dapper look. This style would be complimentary to men with oval and square face shapes. 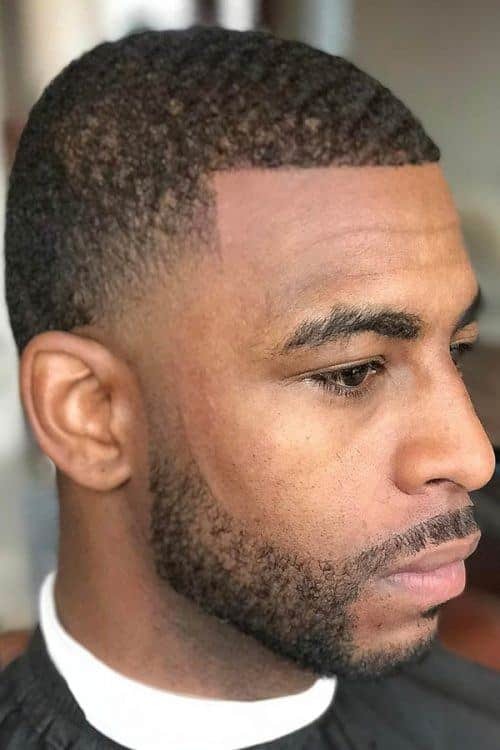 The beard fade represents one of the most incredible beard styles for black men. 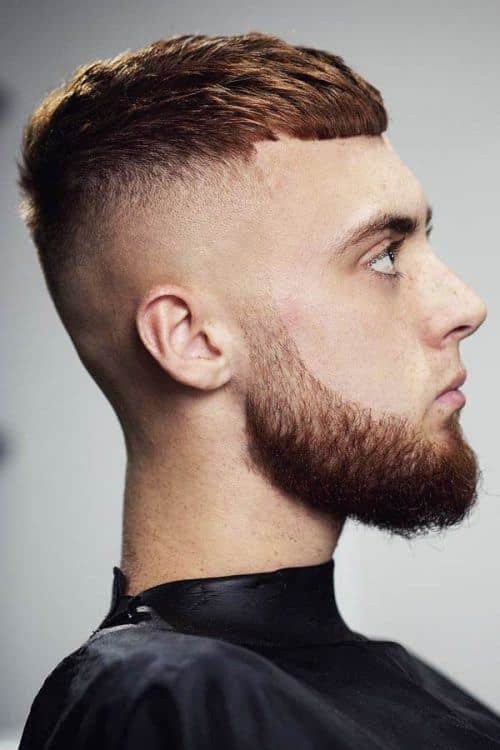 To get the look right, you need to have a tapered fade haircut first and then to blend the beard into it. 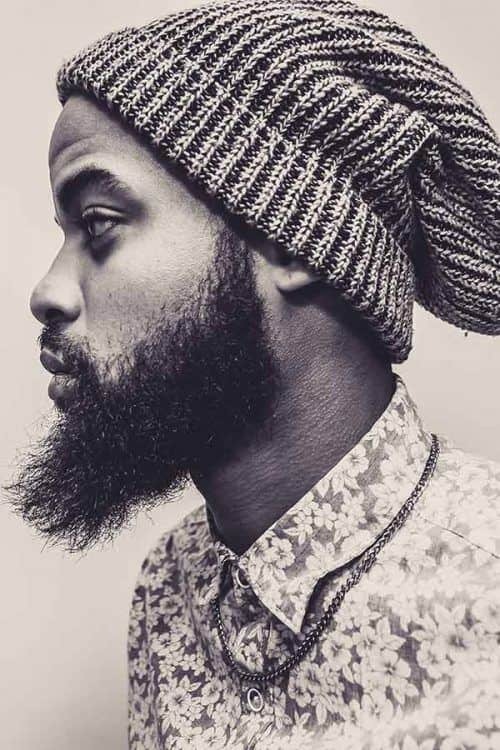 Among the range of the black men beard styles, the beard fade takes the leading positions. This is the kind of black beard styles that won’t leave you indifferent. Full beard styles require commitment, patience and much of dedication. 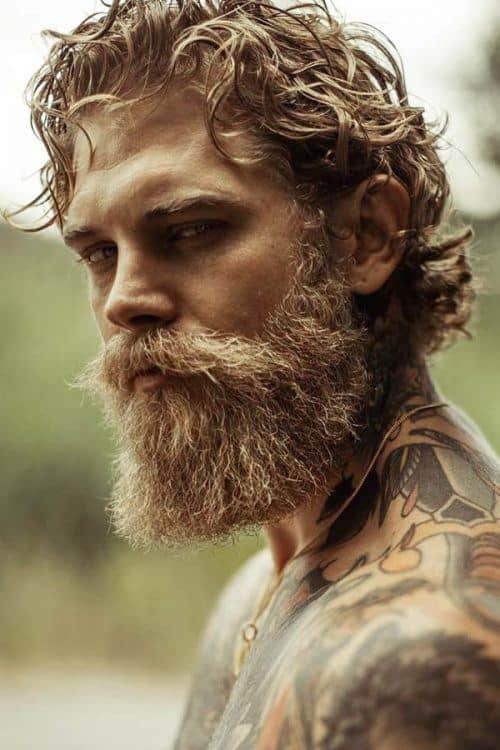 The Hipster Beard is very common among men’s beard styles nowadays, especially paired with a mustache. It’s a full, long and neat beard, with a curled on ends mustache shaped as a handlebar. Long beard styles are for sure on trend these days. They are rather messy, though so manly. There are plenty of long beard options for any preference. A handlebar mustache can become a strong basis for different beard styles. It comes in different length but with one common trait – the ends of your mustache should be curled. You can achieve their shape by wrapping the ends around your fingers dipped into the curling wax in an orderly fashion. Alternatively, for a quick result, resort to a curling wand and a styling product. To showcase the beauty and quirkiness of your handlebar mustache shape, the beard should be well-trimmed. 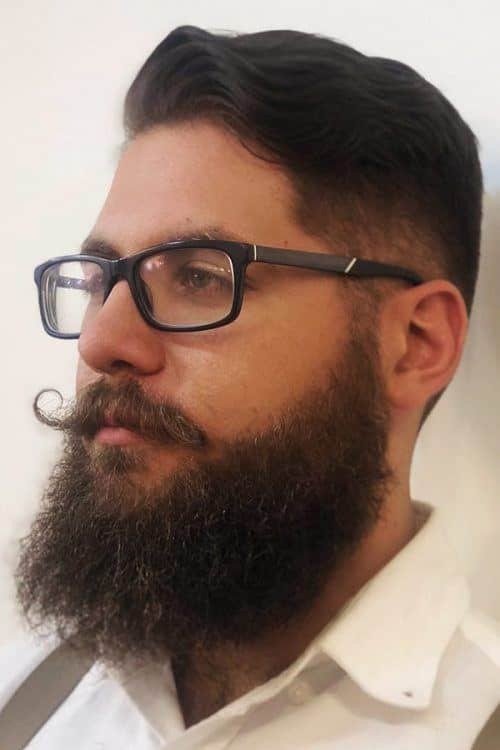 You can go with a tapered or faded beard, disconnected from the mustache and sideburns, unless you’ve managed to grow out a really long and curved handlebar. In this case, you can let it blend into other facial hair. The Viking beard styles entail the presence of much hair on the face. In the past, it was used for the face protection. Today, this is much more like an element of style, especially when you want to remind of those brutal Nordic people. Heading to the best beard styles, we suggest considering the trimmed beard. Its geometric forms exclusively emphasize the round face, accentuating on the strong sides and hiding the weak ones. 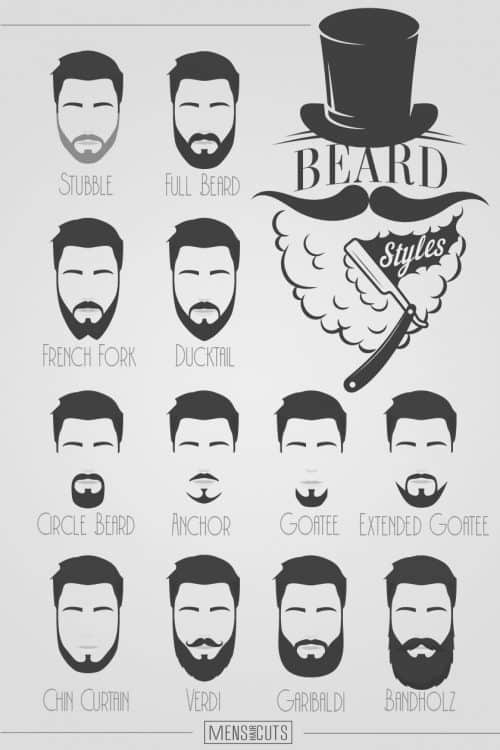 If you are looking for the men beard styles that require some effort and patience, this is it. Named for Eric Bandholz, the founder of Beardbrand, it will take you up to 4 months to grow yourself one. This is the kind of beard that also require some time. It is very similar to Bandholz; however, the Garibaldi Beard has a round shape. For this look, you don’t even need the beard styles pictures. You just leave the hair on your face grow naturally for around four months and trim it at the bottom now and then. If you want to give your traditional full beard an unusual twist, try out a ducktail beard. As the name implies, the shape of such beard styles resembles real ducktails. This commonly harnessed beard style is a combination of a rugged full beard and a neatly trimmed one. It’s highly popular among male celebrities. Note though that this beard style doesn’t suit everyone. If your face is narrow and long, it won’t work for you. In other cases, the ducktail beards sit perfectly fine. When choosing what to pair them with, consider a messy or slicked back hairstyle. Growing a beard can be a really lingering process. However, the anticipation is fully rewarded with the outstanding final look. 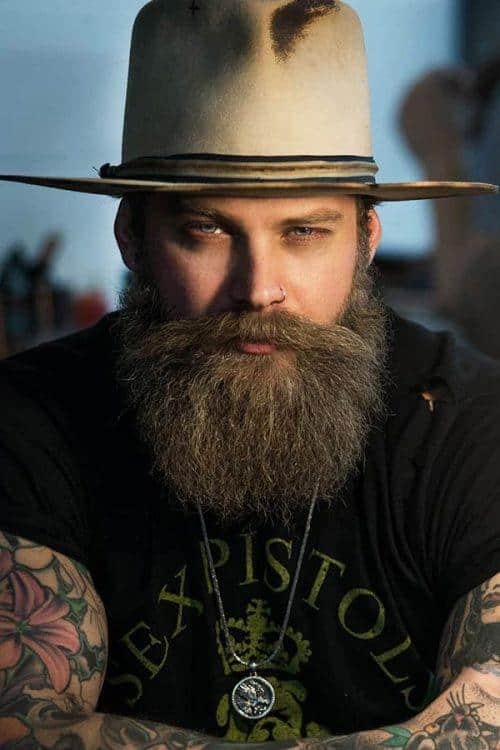 To achieve a yeard, you’ll need to grow out your facial hair for about a year, hence the name. Of course, you’ll need to trim and shape it a bit but without making much effort. A year later, you’ll end up with a beard style that is referred to as a yeard. More good news is your face shape doesn’t matter, as you allow genetics to do the job. And to finish off, a yeard can be easily transformed into any other short or long beard style. The blonde beard isn’t necessarily a full beard. It basically can be of any length, because the main focus here is on the color. Even though the blonde beard phenomenon is mainly genetic, nobody will judge you if you help yourself with a little bit of dyeing. Similarly to blonde, a red beard doesn’t necessarily come with a red hair color on the head. For many reasons, it can accompany different hair hues. There’s a pattern though that facial hair usually comes out redder, lighter or grayer than that one on the head. 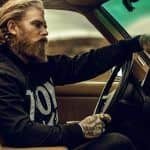 Besides unique and unusual appearance, a red beard gives you a really contrasty look, which is an obvious benefit. Thus, you should opt for beard styles for men to help you flaunt with your ginger facial hair color. A stubble isn’t the case, as its color will probably be indistinctive. 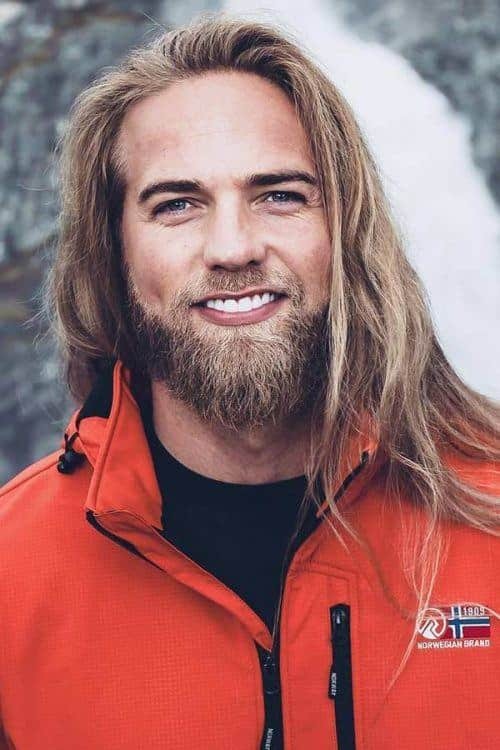 Resort to full beard styles with a lot of length and volume. 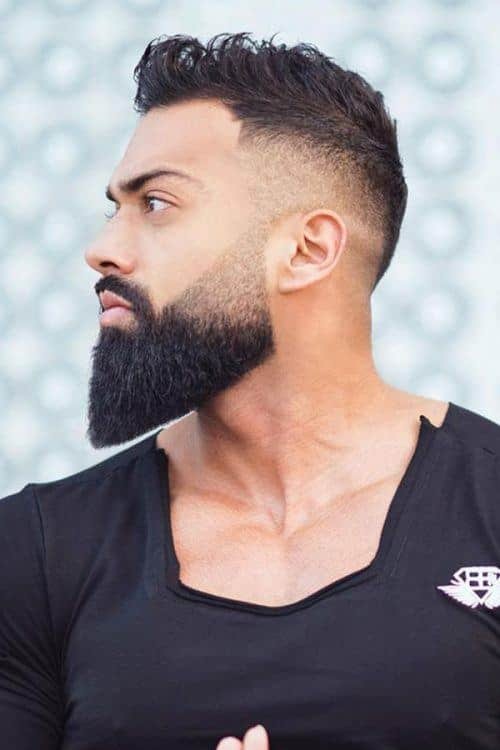 Another unusual and specific kind of mens beard styles is the Arabic Beard. 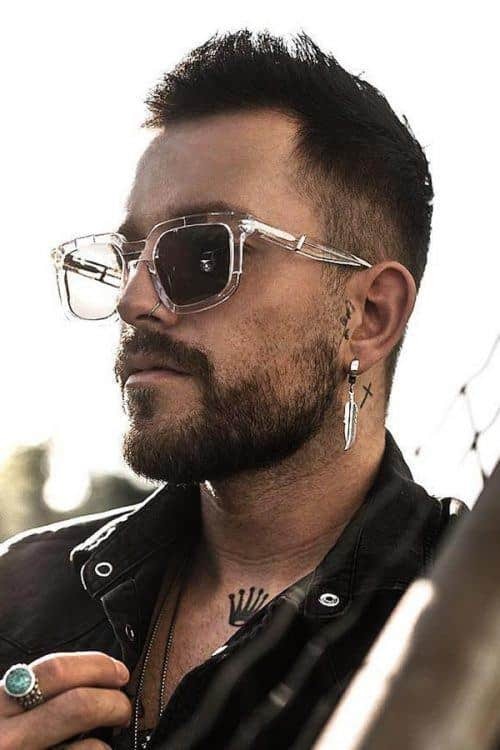 This is a rather complex beard look as it combines extended to the chin sideburns, an exceeding the mouth corners mustache and a soul patch under the lower lip. Surprisingly, blonde men wouldn’t necessarily have blonde beards. Sometimes, a beard grows out much darker than the hair on the head, especially when you shave it all off frequently. The phenomenon of a naturally blonde beard occurs not very often. If you’re lucky enough to be genetically gifted with such a beard color, it’s a real crime not to show it off. 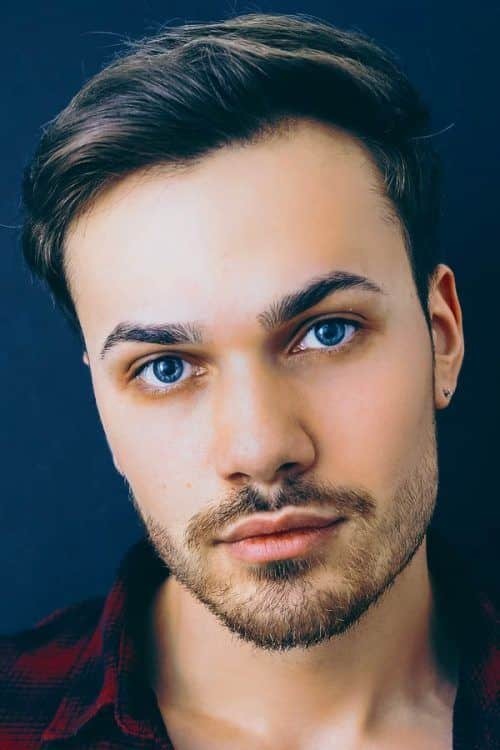 Whether you’re going to simply let your beard grow or trim and shape it regularly doesn’t really matter, as naturally blonde facial hair always looks stunning. 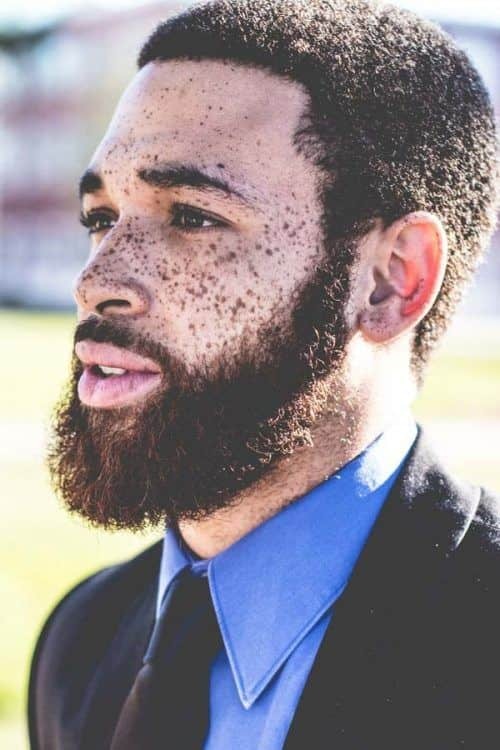 To embrace the beauty of your facial hair texture and skin tone, the grooming world offers a plethora of black men beard styles. In addition to these two features, you should consider the shape of your face and your lifestyle habits when selecting black men beards. The process of growing a beard totally depends on the fact how well your beard style meets your individual needs. 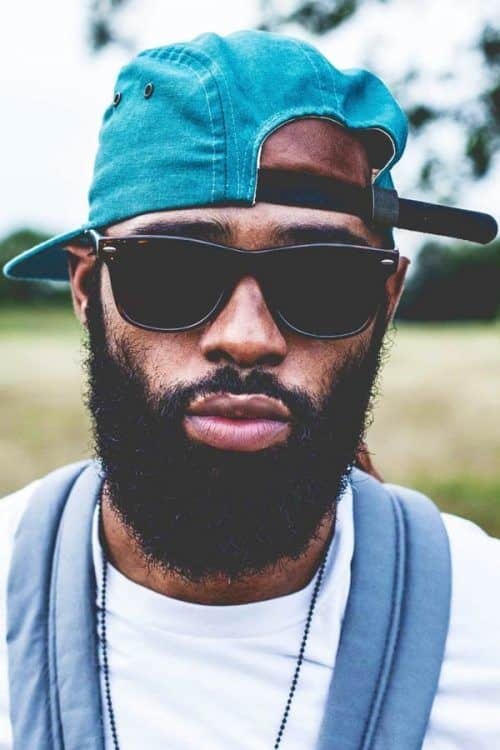 Black men with beards can look rough, elegant or ruffian, depending on the beard types they choose. 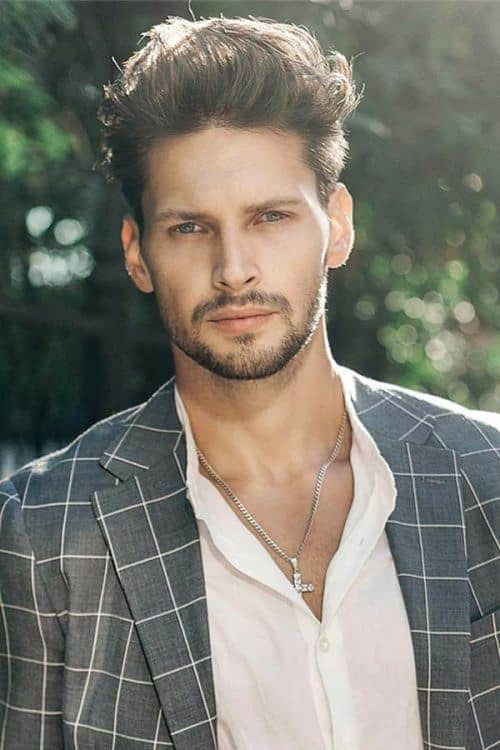 If you prefer a full beard, it’s better to pair it with a cropped hairstyle to balance out the look. 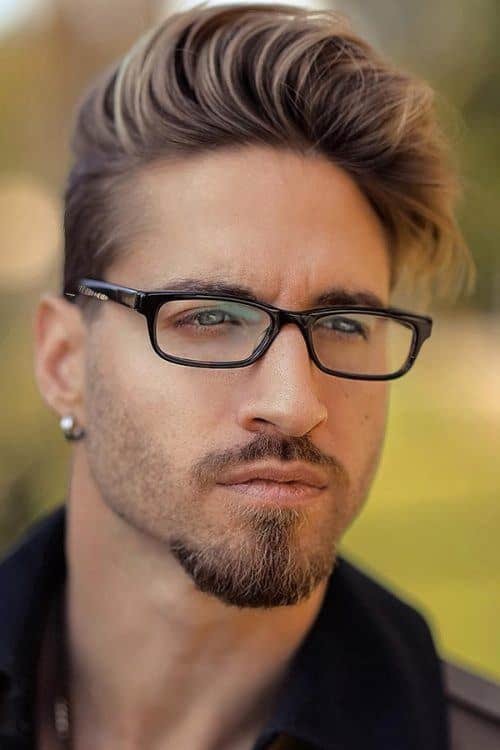 A goatee is a nice way to freshen up your look and give it a polished appeal. It also appears classy with a short-trimmed or even bald head. If none of the traditional options suits you, opt for an individual design. To keep your beard rockabilly and fresh, you will need several styling aids. The products include beard oil, shampoo or balm; the tools suggest clippers, razors and scissors; other accessories imply combs and brushes. Among all the variety of different beard styles that the grooming sphere offers today, it’s impossible to imagine a man who’d be indifferent to beards. There are beard styles for men with think and thick hair, blond and Arabic, artistic and brutal. Don’t waste your time on clean shaving and choose the best way to style your beard.